Before letting the spooky stories and creepy creatures terrorize your nights, it’s essential to separate the facts from fictions in a number of classic horror flicks. Halloween is closely related to supernatural beings. The day, which is also known as All Hallows’ Eve or All Saints’ Eve, was originally held to remember saints, martyrs and all the faithful departed in Western Christian community. However, it is now more often associated with spooky things like ghosts and gruesome murders. Thus, besides dressing up and trick-or-treating, many opt to spend the day watching horror movies in its honor. 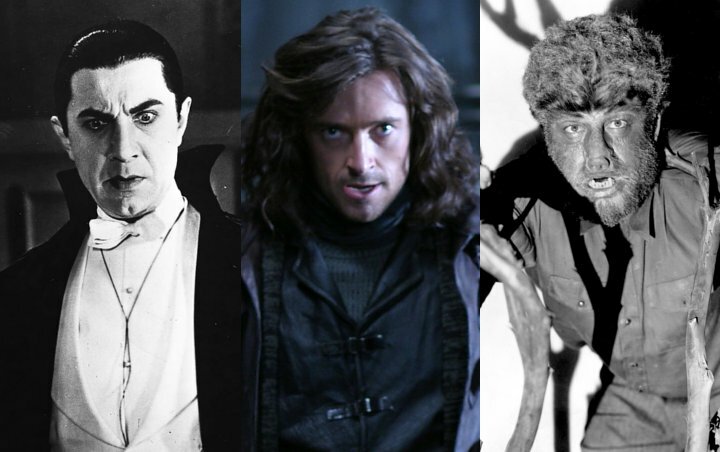 Not necessarily the new ones, some classic horror pics often become popular choices among movie lovers, thanks to their reputations as the best and the most influential in cinema history. 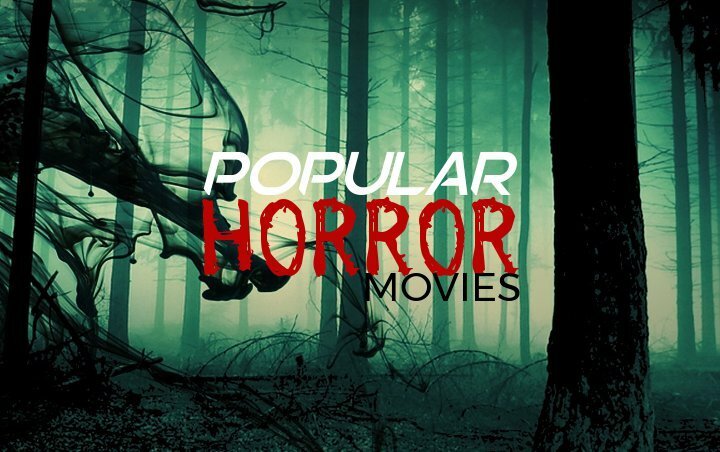 To instate fear among potential audiences, these movies were claimed based on urban legends or loosely inspired by true stories. But just how much part of the stories is real and which was dramatized for entertainment purpose? Before you get to watch your favorite horror movies this Halloween, let’s find out which one is fact and which one is fake in those stories. Slasher films may not feature supernatural creatures, yet the terror they entice is not less chilling than ghost stories. 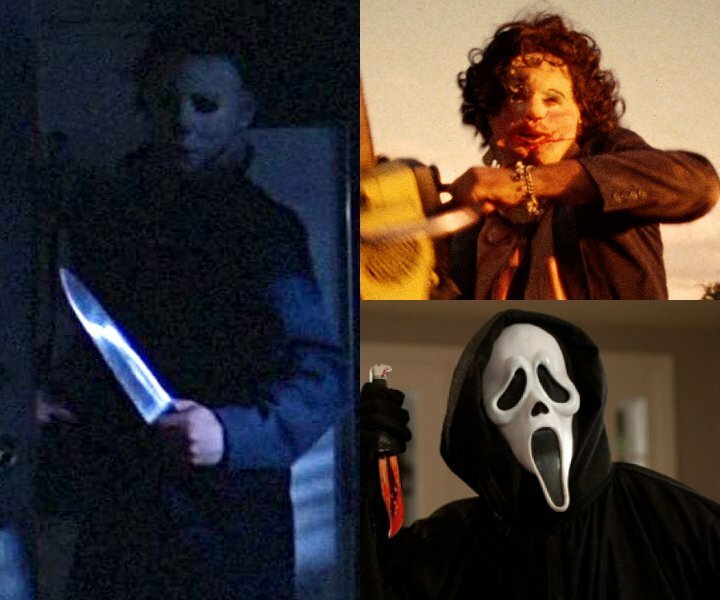 While 1978’s “Halloween”, which direct sequel “Halloween (2018)” recently became a box office success, was not based on any true story, serial murders have unfortunately happened in many places around the world. Just take a look at “Texas Chainsaw Massacre” (1974) and “Scream” which were inspired by real-life serial killers in the U.S.
Kim Henkel and Tobe Hooper wrote “Texas” character of Leatherface with murderer and body snatcher Ed Gein in mind, though the plot is entirely fictional. Like the main antagonist, Gein used masks made from human facial skins and collected human bones. Meanwhile, Ghostface in “Scream” was inspired by Danny Rolling a.k.a. the Gainesville Ripper, who murdered five students in Gainesville, Florida over four days in late August 1990, that’s why the victims in the movie are mostly youngsters. Unlike Ghostface though, Rolling wasn’t known for wearing a mask when committing his crimes. Forget the pretty Halliwell sisters or the nerdy Harry Potter and friends, the witches we’re talking about are not the good ones. 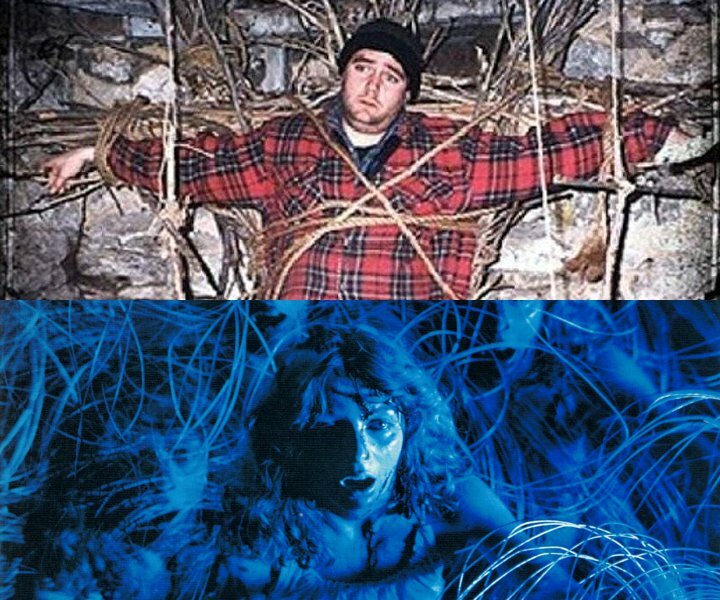 “The Blair Witch Project” and “Suspiria” (1977), which has got a reboot with Dakota Johnson in its lead, are two of the most successful movies in their genre. The former revolves around a fictional legend of the Blair Witch, while the latter features a coven led by a witch. Usually female, witches in fictional works are often depicted as using human sacrifices to gain their power through ritual actions. Witchcraft practice itself is widely believed to have existed since thousands of years before century. Sometimes used to counter malicious magic or for healing purpose, sorcery is viewed as evil by several religions. Thus, accusations of witchcraft and wizardry have led to prosecutions of the accused witches, like the Salem witch trials which occurred in Massachusetts between 1692 and 1693. During this period, the victims of the trials were hanged. In other parts of the world, however, those convicted of witchcraft were often burnt alive. 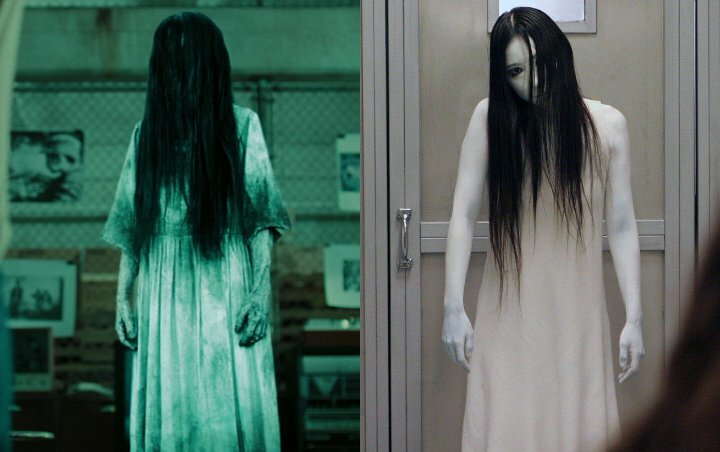 Remakes of successful Japanese horror films “Ring” and “Ju-On” respectively, “The Ring” (2002) and “The Grudge” present common Asian depictions of disfigured and vengeful ghosts. In the former, the curse of Samara is passed on through a videotape, while the latter shows the victims encountering the ghost of Kayako after visiting the scene or murder. Both ghosts derive from onryou of Japanase mythology, who is believed to be able to return to the physical world in order to seek vengeance and physically harm or kill enemies. A traditional Japanese onryo legend tells the story of a loving and devoted wife who turns into the ghost of Oiwa after being murdered by her unfaithful husband. This plot is in line with the stories of Samara and Kayako in “The Ring” and “The Grudge”, which show the oppressed victims manifesting their rages in supernatural forces. One of the earliest films about vampires, Tod Browning’s “Dracula” (1931) is based on the 1924 stage play of the same name, which in turn was loosely based on Bram Stoker’s novel “Dracula”. In creating his novel, Stoker was inspired by many European stories and folklore about vampires, which were described as blood-drinking revenants or demons. As for the name of Dracula, Stoker borrowed it from the historical Transylvanian-born Vlad Ill Dracula, who is said to have killed 40,000-100,000 of political rivals and criminals mainly by impaling, while Dracula’s mannerisms were drawn from actor and theater manager Henry Irving. In Stoker’s novel, Dracula can shapeshift into a bat and a wolf among other forms. Despite sharing the same mythology, “The Wolf Man” (1941) has nothing to do with Stoker’s Dracula. The werewolf mythology itself dated back to the first century, during which the ability or affliction to shapeshift is called lycantrophy. Belief in werewolves developed in parallel to the belief in witches, and during the witch-hunt phenomenon, trials of supposed werewolves also occurred. A prominent case was Peter Stumpp, a German farmer who was accused of werewolfery, witchcraft and cannibalism in 1589. He confessed to the accusations under torture and was subsequently executed by breaking on a wheel. In many cases of haunting and possession, exorcism is often performed to cast out the demon. In “The Exorcist” (1973), the act is performed on a possessed child by priests, showing the religious element which is highly influenced by the tradition in Catholic Church. In Catholic Christianity, a formal exorcism which is called a Major Exorcism has to be carried out by an ordained priest based on strict guidelines. Jesus Himself set the example of exorcism as, based on the New Testament, He exorcised a demon or demons out of a man and saved a possessed daughter of a woman in Canaan. The practice of exorcism is also found in other religions, though it is carried out in different ways. 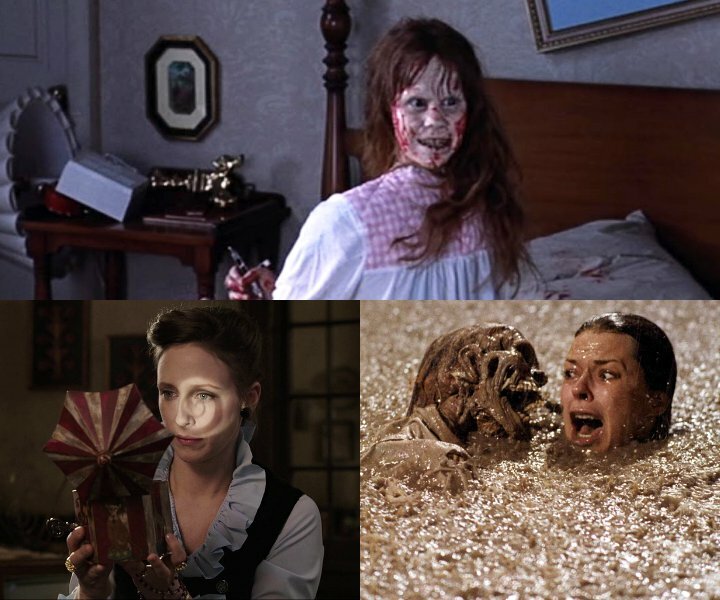 In other cases like the ones depicted in “The Conjuring” and “Poltergeist” (1982), the characters seek the help of spiritual practitioners to evict ghosts from haunted houses. Though they sound odd, paranormal investigators and spiritual mediums are real jobs. Ed and Lorraine Warren, who are portrayed by Patrick Wilson and Vera Farmiga respectively in “The Conjuring”, are the real examples. That’s why the events in the first film as well as the sequel “The Conjuring 2” are claimed to be based on true stories on the cases handled by the ghost hunter duo. 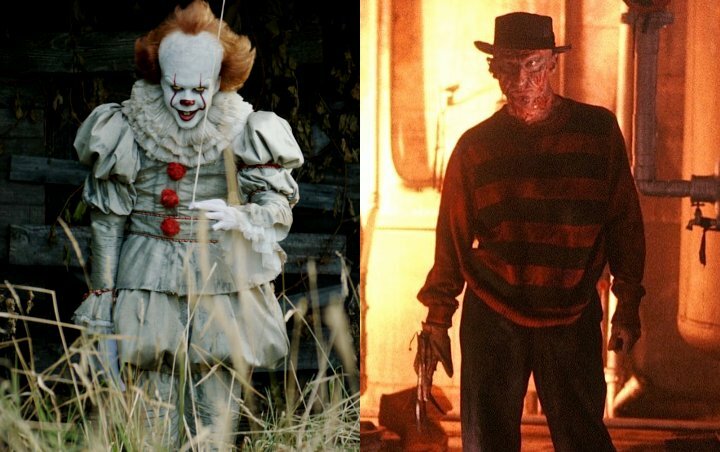 Coming up from different sources, both “It” (2017) and “A Nightmare on Elm Street” have a similar underlying idea which is a supernatural entity that preys on young people. In the adaptation of Stephen King’s novel, the creatures comes in the form of Pennywise the Dancing Clown as the author believes it attracts children, yet for some others it is terrifying. “A Nightmare on Elm Street”, on the other hand, is about the evil force that manifests itself through nightmares. While Pennywise was purely King’s fictional creation, similar events like those in “A Nightmare on Elm Street” creepily occur among people from a mountainous province of Laos called Hmong. Young males in the community are affected by “oriental nightmare death syndrome” or what is known as “Sudden Unexpected Death Syndrome”, where the victims die of fright from their own belief of what happens in their dreams. It is believed that a spirit known as “dab tsuam”, which takes the form of a jealous woman, takes men to the spirit world when they sleep.